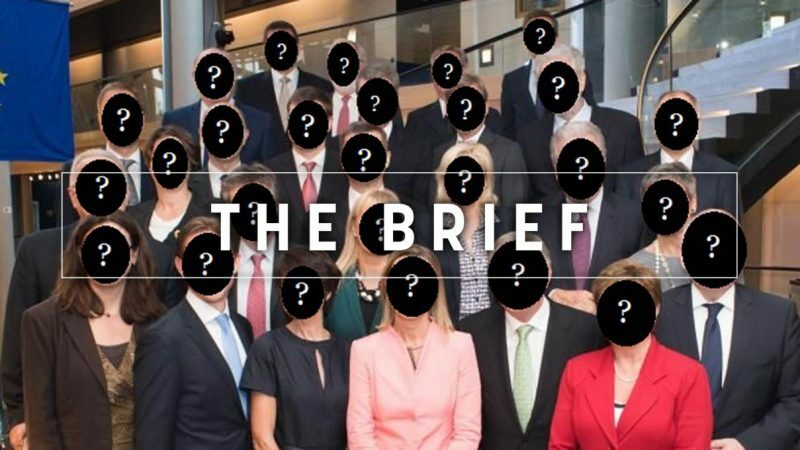 As the European elections draw ever closer, EU leaders are quietly manoeuvring into position the candidates they want to install in the next European Commission. Here are some of the latest developments. It’s anybody’s guess what the next European Parliament will look like, although many polls can give us a rough idea of how the ‘Camembert’ will shape up after May. The make-up of the next Commission is also far from clear but the likes of Hungary, Luxembourg and even Denmark have shown or at least given us a glimpse of their cards. The really big players are still keeping them close to the chest. Budapest has officially endorsed the current justice minister, László Trócsányi, as its pick, which will be an intriguing (at the very least) confirmation hearing to watch, given the low regard in which MEPs hold Hungary’s rule of law situation. Would any Commission president sign off on Trócsányi’s nomination in the first place though? Should Manfred Weber get the top job through the increasingly shaky-looking Spitzenkandidat process, the Hungarian lawyer could well get a portfolio. He’d probably inherit Tibor Navracsics’ all-important sport and culture duties. Navracsics has successfully shed any notion that he is Viktor Orbán’s man in Brussels, so Trócsányi would probably have to make the same assurances of putting the Berlaymont first to stand any chance of getting a spot in the team. Luxembourg, whose process for picking a Commissioner is far more entrenched in its political system (a nation that holds the record for most presidents, remember), has plumped for the experienced Nicolas Schmit. An economist by trade, Schmit got the nod over the current deputy prime minister, Etienne Schneider, as well as Brussels’ former ‘Mr Energy’, Claude Turmes. Given he’ll follow in the footsteps of Jean-Claude Juncker, Schmit is unlikely to be awarded a portfolio of any note. Denmark’s potential choice is far less clear-cut as current Commissioner Margrethe Vestager, although quite popular and highly regarded, can no longer count on the backing of the national government. The Danes have an unwritten rule that their Commissioner should at least come from the ruling coalition [something Frans Timmermans, for example, does not have to tangle with when it comes to Dutch PM Mark Rutte]. But it’s unlikely that PM Lars Løkke Rasmussen would stand in Vestager’s way if the top job was on offer. If the EU Council abandons the Spitzenkandidat procedure and embarks on its usual horse-trading behind closed doors, the Queen of EU competition law stands a chance of getting the presidency, because of her popularity, competence, experience and, surely, gender. Vestager would be Denmark’s first EU executive chief and she has already given hints about her availability. This week she tweeted in support of Greens Spitzenkandidat Bas Eickhout, whose group’s backing could prove vital when crunch time comes. But if Spitzenkandidat does inexplicably re-establish itself as the likely avenue, or if another candidate, such as Michel Barnier, emerges as the outright favourite, Vestager will probably say goodbye to Brussels. Stepping into her shoes could be former PM Helle Thorning-Schmidt. Last week, she announced that she would quit her current CEO position in the summer, shortly after both the EU and Danish elections, which are earmarked for June. Thorning-Schmidt’s social democrat party currently holds the most seats in the parliament, so it could regain power and give her the nod to go to Brussels. EU institutions: a complex machine of many moving parts. Do your best to keep up. The UK parliament votes on Theresa May’s Brexit deal later tonight. Although the EU side has insisted that the agreement is set in stone, Germany teased the prospect of more talks in case/when Westminster rejects the deal. Madrid and Brussels disagree over Iberia’s Spanish ownership after Brexit as the flight operator tries to preserve its air carrier’s licence to operate intra-EU flights. Talks between Brussels and Bern, ongoing since 2014, have hit an impasse, causing more Brexit confusion. And who would have guessed – the jokes about no-deal are turning more and more towards dark British humour. Greece and Russia, meanwhile, have exchanged furious statements over the Macedonia name dispute. Berlin lacks the political will to bring the energy transition forward, according to the architect of Germany’s renewable energy law. Last week, seven countries missed a December deadline to submit draft climate plans. Now the latecomers are getting their excuses in. Single seat debate is back: the 5* Movement has decried the “waste of money” the Parliament’s Strasbourg seat represents, putting its closure at the centre of the party’s European election campaign. MEPs, who are currently meeting in Strasbourg, have backed plans for artificial intelligence and robotics. But ethical concerns remain in place. Lawmakers also criticised Austrian PM Sebastian Kurz’s policy on migration during his country’s holding of the EU presidency last year. His Czech counterpart is currently under the EU’s spotlight, as auditors look for possible conflicts of interest. Serbian citizens are set to rally on the streets next week, both those unhappy with the state of affairs in the Balkan country and those who just want to show support for Vladimir Putin, who will be in town on an official visit. Our caption contest is still open! It involves Juncker and a man in an amazing hat. Send us your best entries here. Crunch time with the ‘meaningful vote’ in the House of Commons tonight, the vote itself is scheduled at 8pm. Here is a nice explainer on the voting procedure. Please disregard the fake yet hilarious news that May has delayed the vote until 30 February.